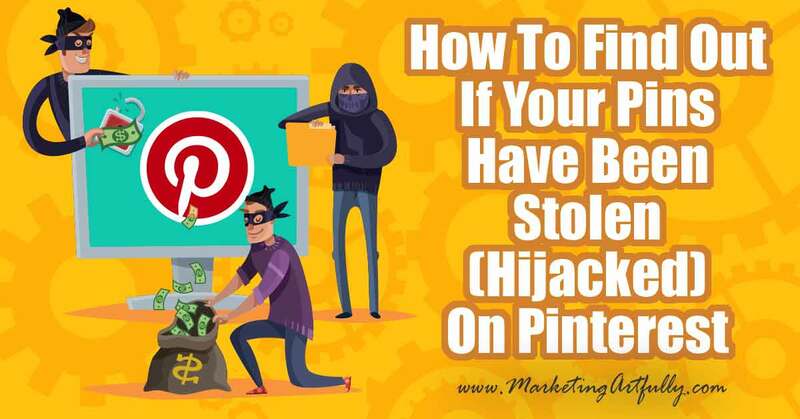 If your pin has been “stolen” on Pinterest, here are the exact easy steps to find out who stole it and how to turn them into Pinterest! How to with a quick video and pictures to help you get started fast! You can scootch it up or down and you can pull the little “handles” to make it shorter or taller! 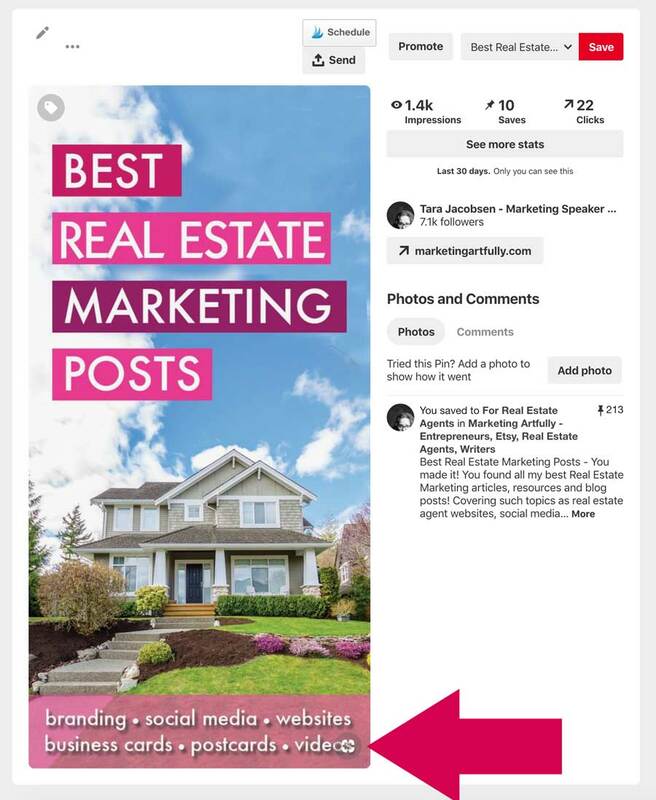 My website is Marketing Artfully NOT that website that shows up when I hover over the pin! Step #10 – Provide the link to the original pictures on your post or page! Should I Be Checking All My Pins? I wouldn’t spend much time checking ALL your pins (hopefully you have a lot of different ones out there!) Instead focus on the top 10-20 pins and just periodically check them out. 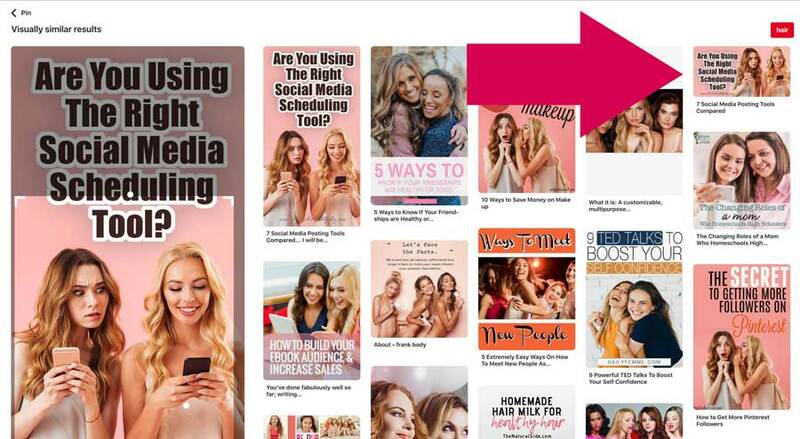 How Often Should I Check My Pinterest Pins? When I have a little bit of free time. I don’t have a “check my Pinterest pins schedule” but I do know some bloggers who do! 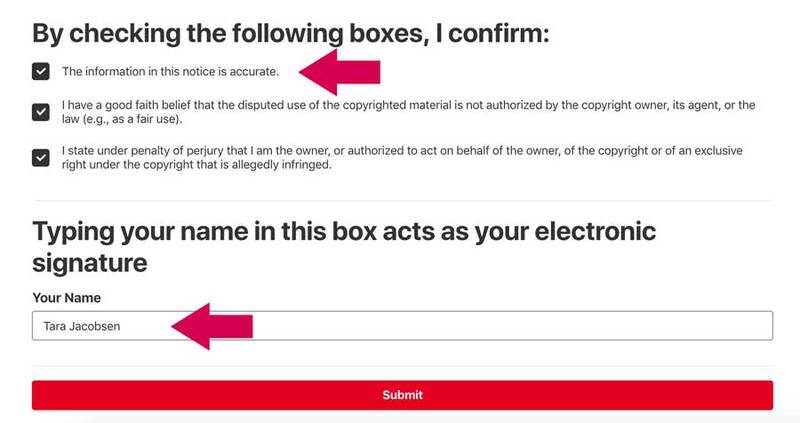 Should You Even Report Stolen Pins? 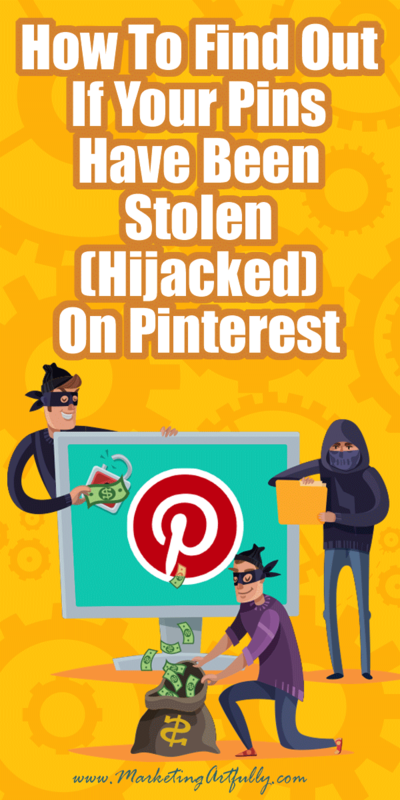 I was researching this and found some pretty big bloggers who said, “don’t report stolen pins, because they will take down yours too”. Hmmm I don’t really agree with this. When I find a stolen pin I report it! 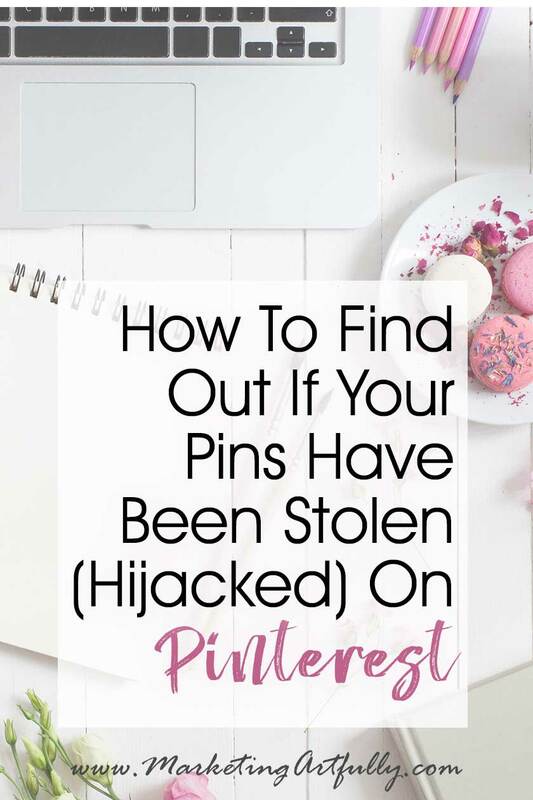 How Do You Know If A Pin Has Been Stolen? 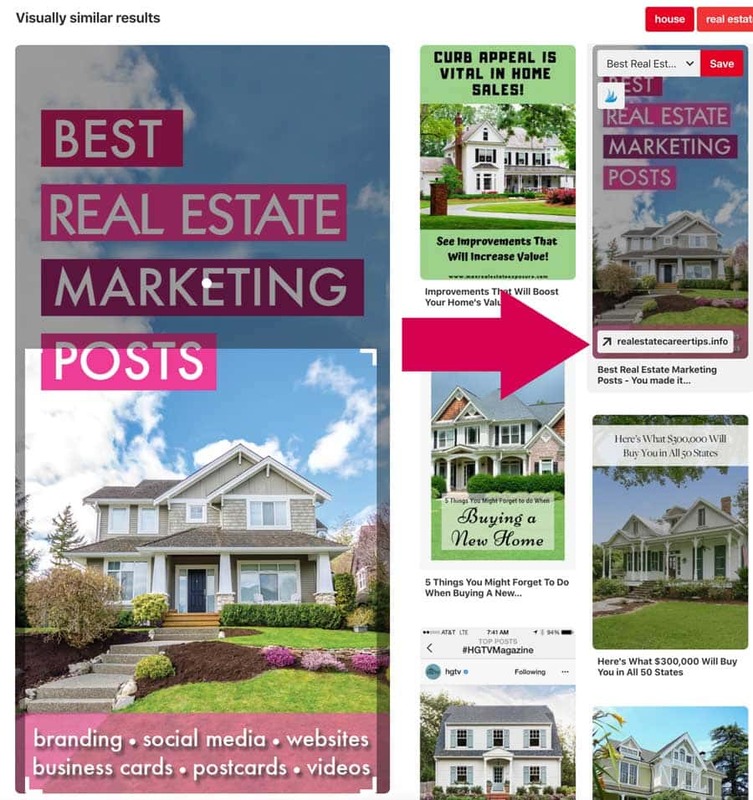 I check mine when I notice a drop in Pinterest traffic. 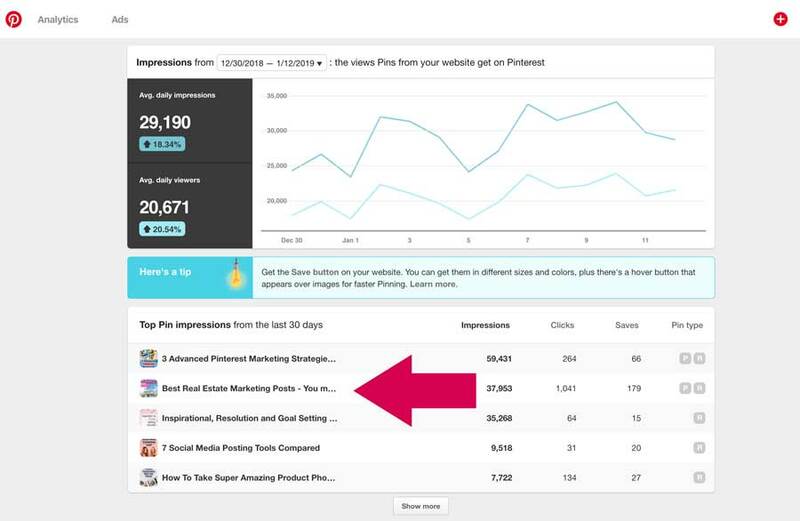 This may indicate that someone “stole” one of my good pins and they are getting my good traffic. Should I Check The “Remove All” Box? NO! That what might be messing those bloggers up. Don’t ask for ALL the pins like that to be taken down. 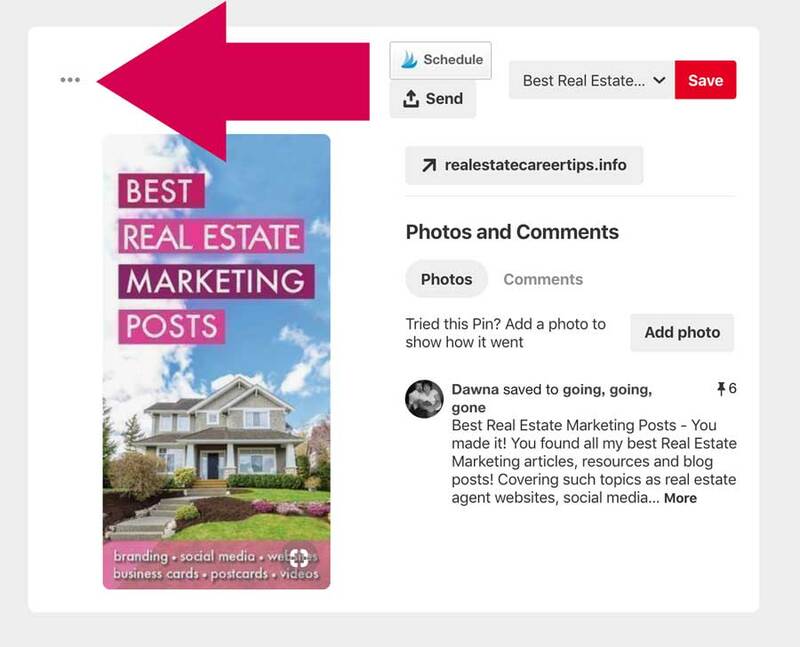 Pinterest will do a visual sweep and delete them all, even yours! 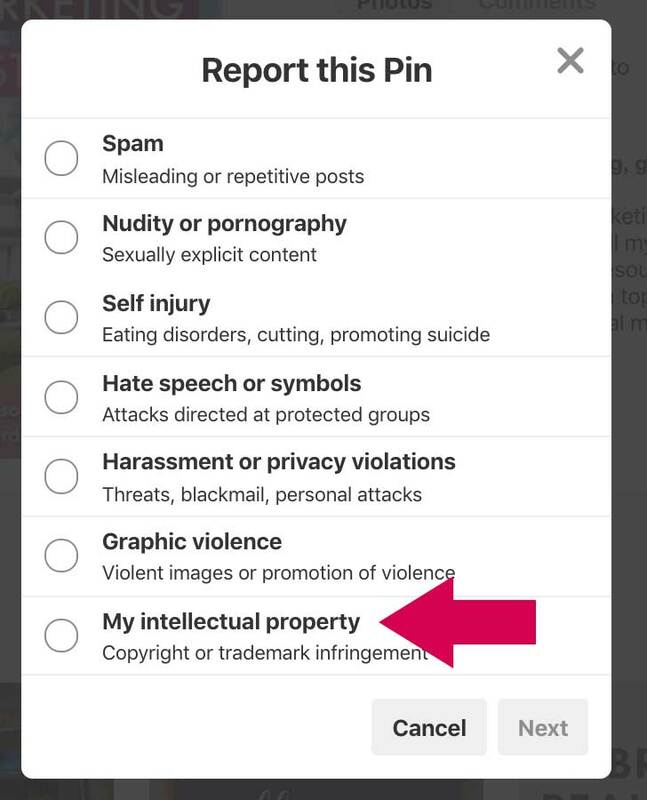 This function is for artists and other visual creators who do not want their artwork or designs posted to Pinterest without their permission. 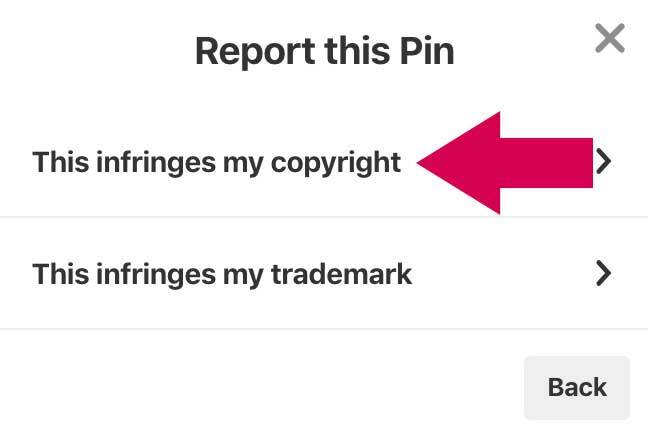 What Is the Pinterest copyright infringement form? 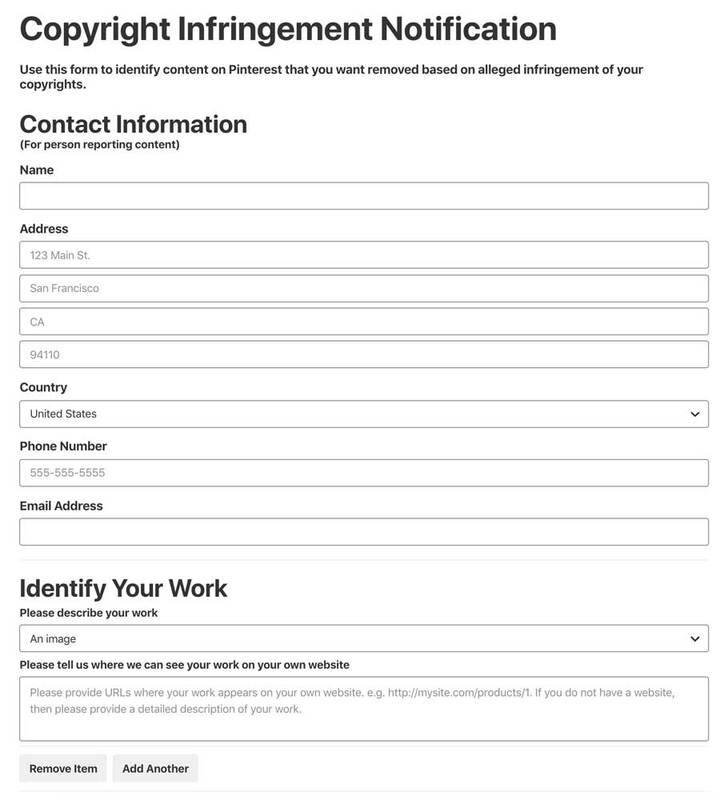 Here is a direct link to the Pinterest Copyright Infringement Form. It is the one you get to from your pin. I tend to start at the pin level and fill it out, but you could bookmark the form and then drop your pins in there if you are doing a lot of cleanup work! Why Did You Tell Them To Make It A Strike? I told Pinterest to make it a strike for a couple of reason. First, that site has stolen my pins before. They have a lot of different URLs pointed to it and are like a “whack a mole” for me. Second, if we don’t record it as a strike, that site will keep doing these bad practices and hurting people besides me! Will Checking The “Remove All” Box Remove All Your Pins Too? YES! At least that is what it appears to do. 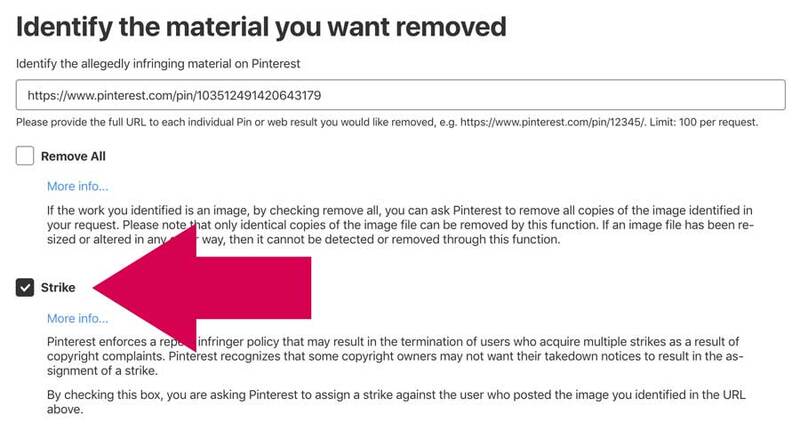 Pinterest is not that clear about how this process works, but checking that box does appear to say “remove ALL these pins” which would include yours! If you see someone has stolen a lot of your pins, can you report their account? 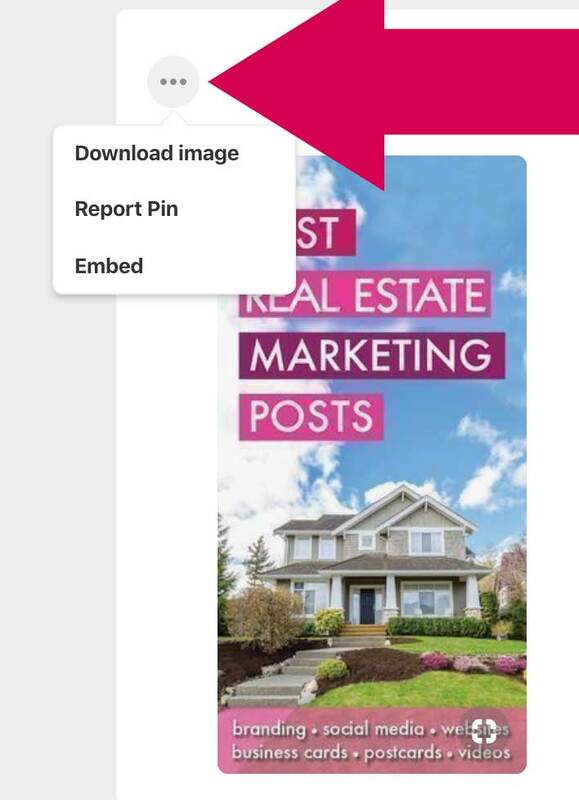 Here is the official “Pinterest Reporting Center“. Say someone has stolen ALL of your pins, you might want to use the Contact Us button at the bottom to try and report them globally! Okay, this is why you want to click through to the article. Not only did this one steal my picture, but they also copied my entire post onto their website. Now, this is a bigger question than I can answer in a Pinterest article, but I don’t really mind. They did give a link back to my site and in some circles having someone steal your content is called syndication. BUT I could report them to their host that they took my whole article without asking my permission and they could get in trouble!